Admission: Free - Donations are appreciated! Would you like to bring a large group to the museum for a tour? Interested in touring outside of normal business hours? We'd love to have you! Please fill out our Request for Tour form by clicking on the button below. Our museum got its start when a group of Wellington citizens joined together to form the Chisholm Trail Museum in 1963. After many meetings and planning sessions, the Chisholm Trail Museum found its home within the walls of the historic Hatcher Hospital building. The hospital had recently closed after the sudden death of Dr. A.C. Hatcher, son of hopsital founder, Dr. A. R. Hatcher. The Hatcher family graciously gifted the hospital building to the Chisholm Trail Museum in 1965. Since that time the Chisholm Trail Museum has acquired thousands of items representing the individuals, organizations and businesses who have made Wellington and Sumner County what it is today. Stop in and take a look around. You'll be surprised at the variety and depth of the artifacts on display. 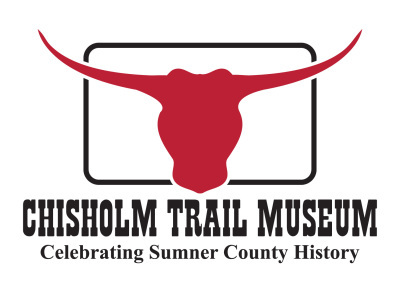 From military items to artifacts from early local businesses and antique furniture and items brought to the area by early pioneer wagons and cowboys traveling the Chisholm Trail, there is truly something for everyone here at the Chisholm Trail Museum.